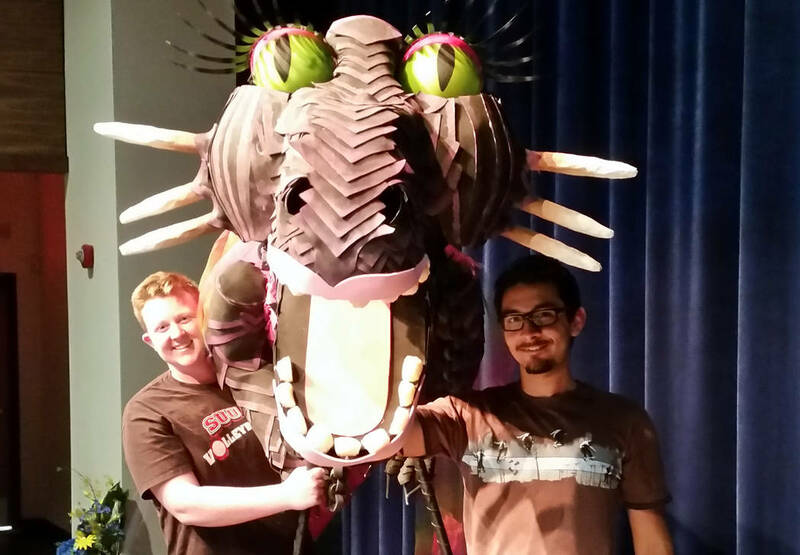 Celia Shortt Goodyear/Boulder City Review Boulder City High School students, Hunter Moser, left, and Ricky Escamilla, showcase the dragon for the school's upcoming production, "Shrek the Musical." It's the first production in the new theater and is at 6 p.m. from May 9 to May 12. Tickets are $5 in advance and $8 at the door. Drama teacher Krysta Phenix said the school usually does two productions a year, but this is the first musical students have done since 2015. “I knew that it would be possible with the compressed timeline because of the theater opening in March,” she said. She and the students had five and a half weeks to rehearse, rather than the usual 10 a musical takes. Because of the time constraints, Phenix said that doing a fantasy story can be easier for performers, especially if it’s their first performance or musical. There also wasn’t a lot of time to learn how to operate the new equipment or coordinate information about it beforehand. Phenix said she and the students are doing that while they are rehearsing. Despite these issues with making the production happen, Phenix said she isn’t worried. Rather, she is focusing on the process and what the students can learn from it. Presenting a musical on campus is giving many students an opportunity to participate in one for the first time. Boulder City High School student Aron Eaton has been in various productions at school and with community theater groups. He is playing Donkey in what will be his third musical. He said he’s looking forward to performing in the new theater. 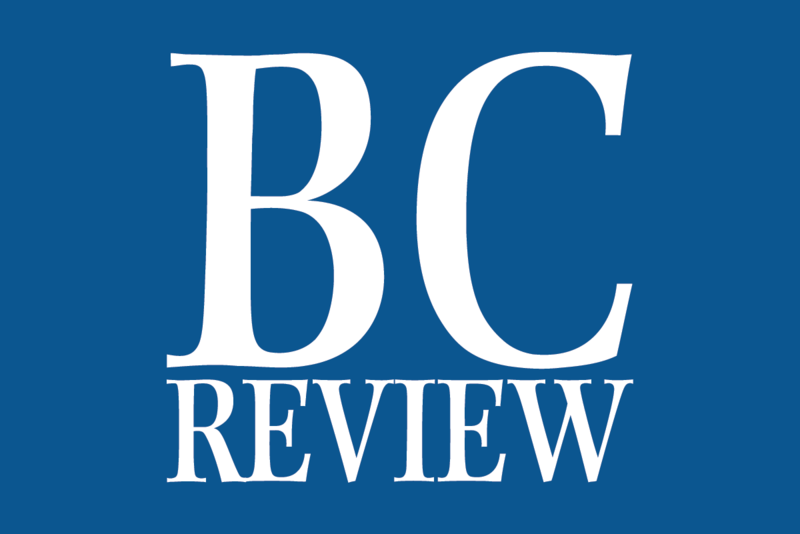 “Shrek the Musical” will be performed at 6 p.m. May 9-12 in the theater at Boulder City High School, 1101 Fifth St. Tickets are $5 in advance and available for purchase from the school banker. They are also available at the door for $8. Where: Boulder City High Schoo, 1101 Fifth St.